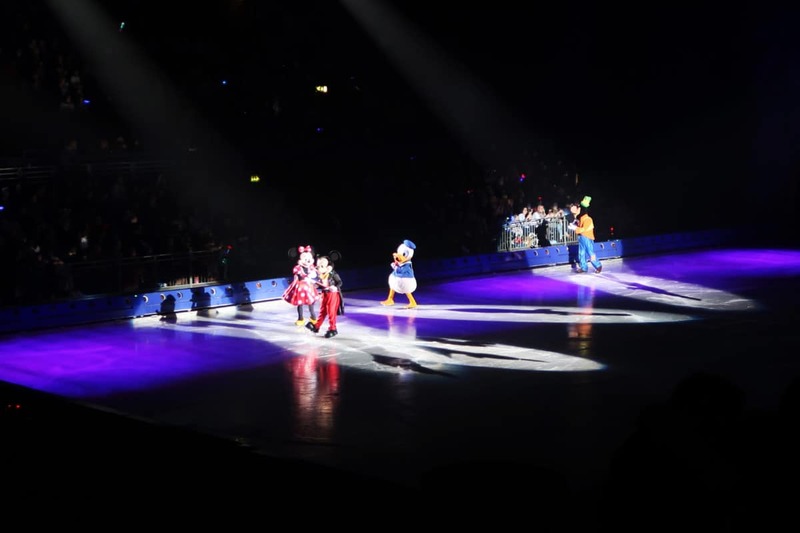 Disney on Ice is always one of our favourite days out and we couldn’t wait to head to London’s SSE Wembley Arena to see the Wonderful World of Disney On Ice, a show the whole family had been excited about since it was first announced. 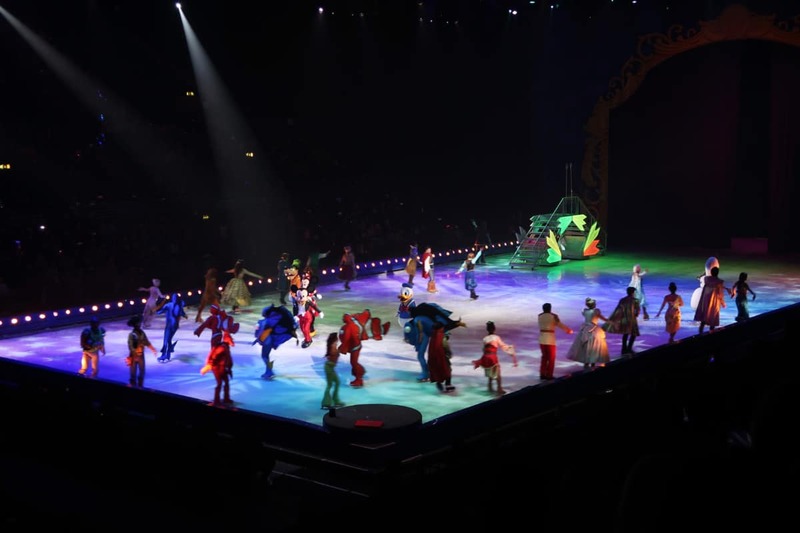 The Wonderful World of Disney On Ice is a brand new Disney on Ice show for this year featuring everyone’s favourite Disney friends. 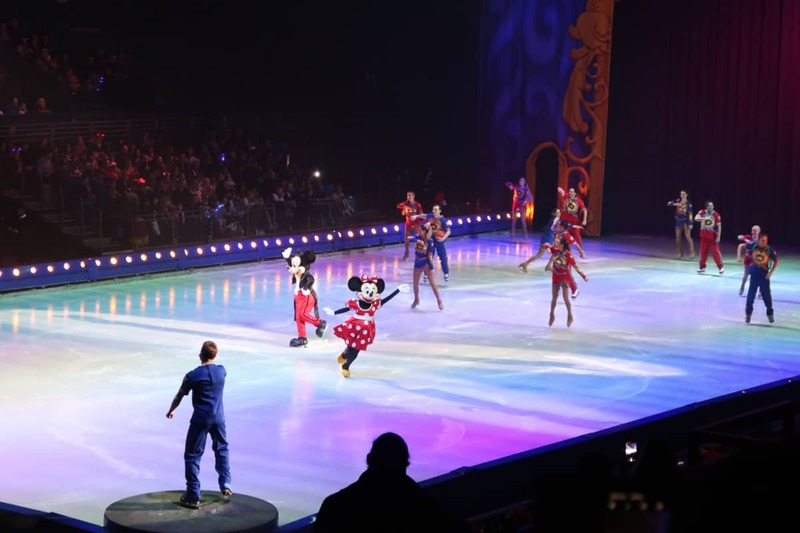 The show is introduced by none other than Mickey Mouse, Minnie Mouse, Donald and Goofy – the original Clubhouse Gang. They let us know that they were going on a hunt for the ultimate treasure, and told us that some of their friends would be helping in the adventure. 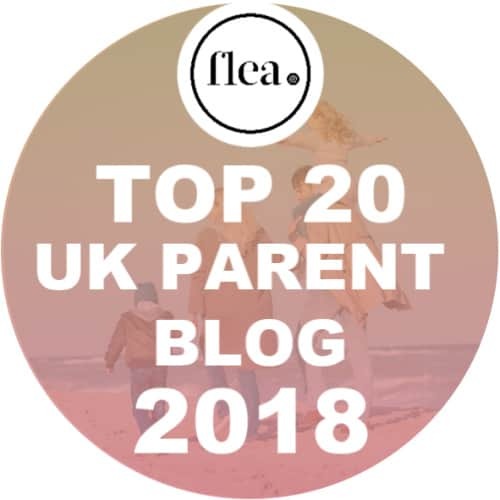 Out of a treasure chest we were given clues as to who would be helping along the way – a sea shell, a toy army man and even a frying pan. 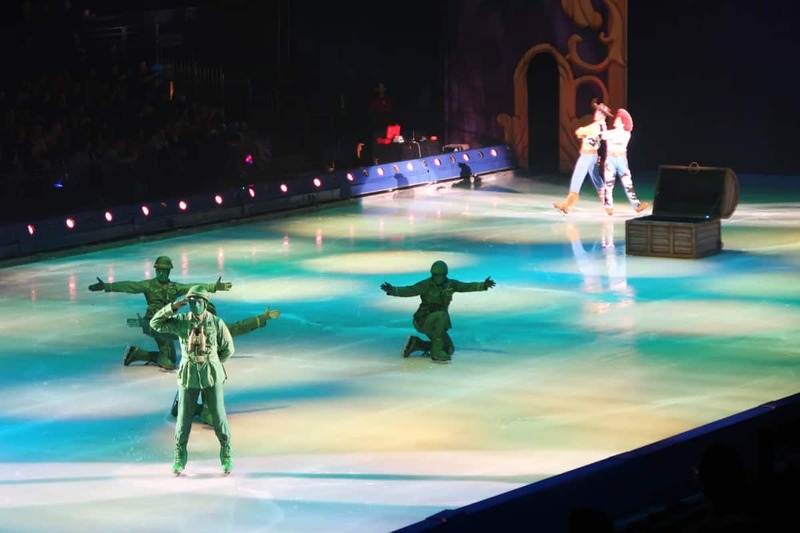 We knew we would be in for a spectacular treat of epic Disney Magic and we were glad that the gang made regular appearances throughout the show, introducing a number of the performances and reminding us that we were on the lookout for the ultimate treasure. 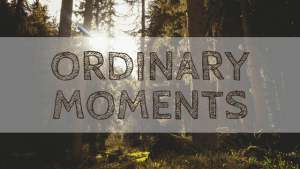 We were first taken to the African savannah and watched an awesome recounting of young Simba’s rise to be the Lion King. 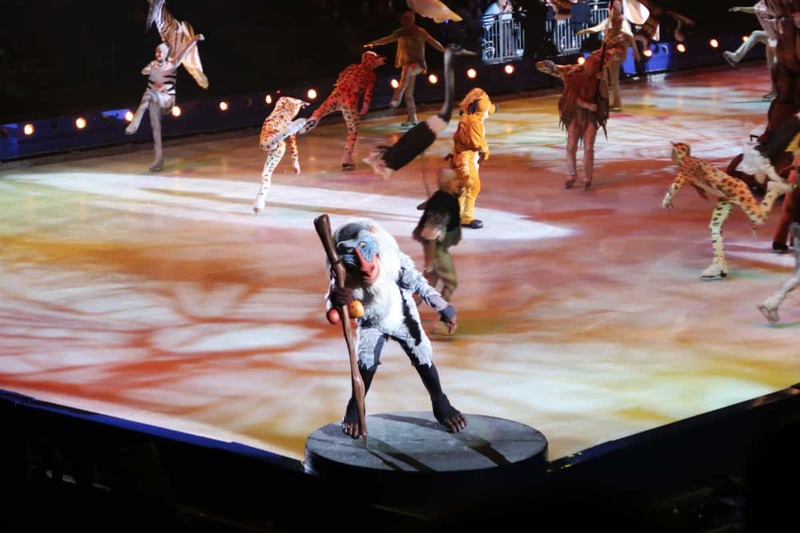 Whilst the Lion King has featured before in Disney On Ice shows, each scene in the Wonderful World of Disney On Ice was different to previous ones. 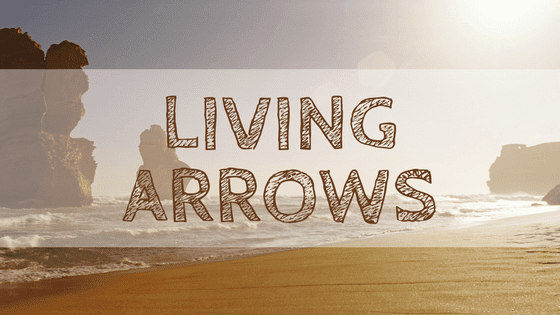 This tour treats you to the amazing wildebeest stampede with it’s tragic ending, to the rise of Simba and Nala as the next leaders of the pride. 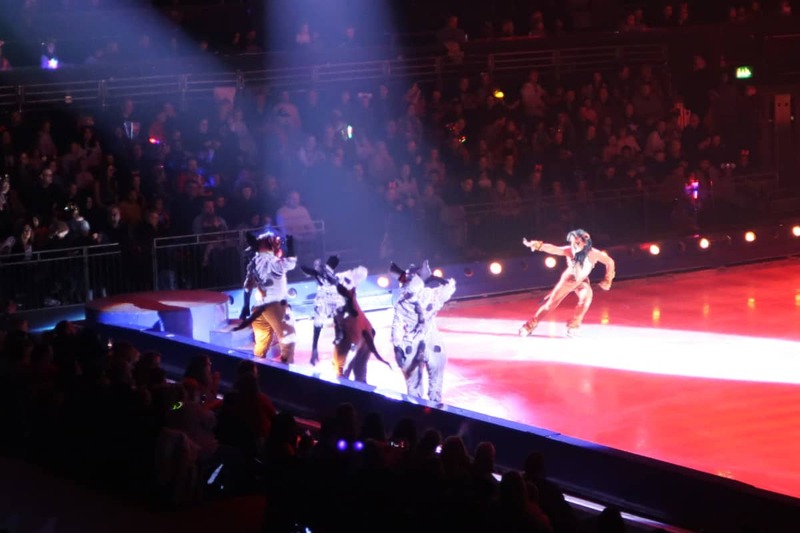 The arena floor becomes flooded with performers in amazing animal costumes from giraffes to zebras and even flying birds. 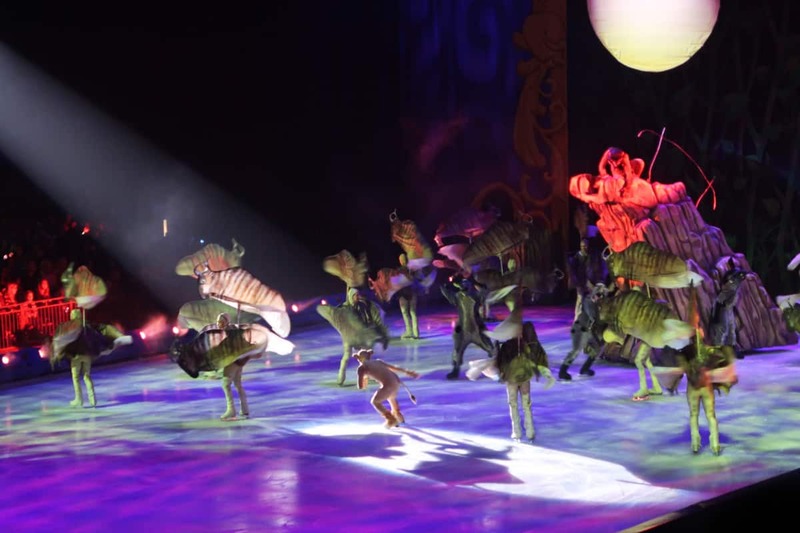 The main performers for the Lion King were amazing, with gravity defying lifts, spins and jumps that were flawlessly executed. It was the perfect start to the show. 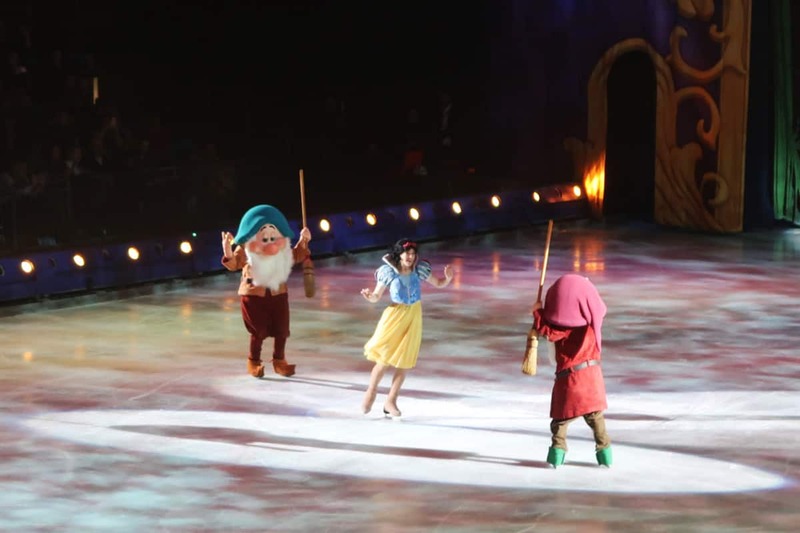 Next up was another completely new Disney on Ice part – Snow White. 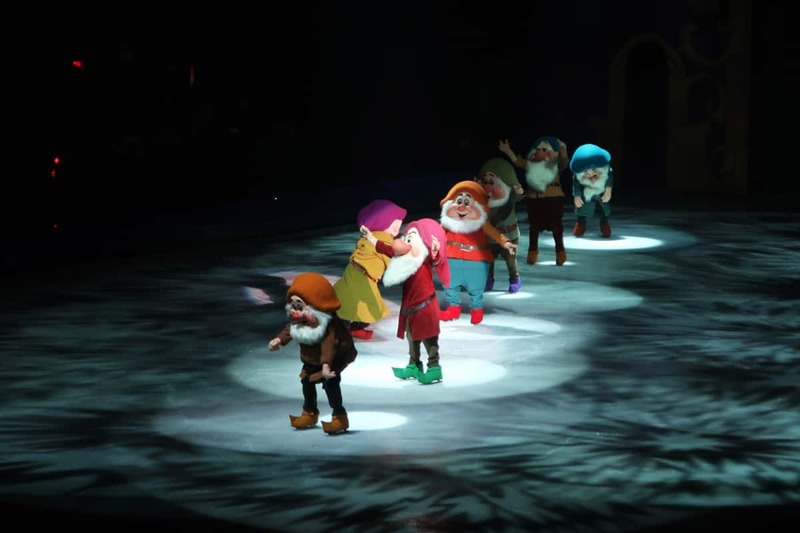 The Seven Dwarfs led the show with a rendition of ‘Hi-Ho!’ and had the audience bouncing along with the simple lyrics, their personalities showing through in the moves they performed. 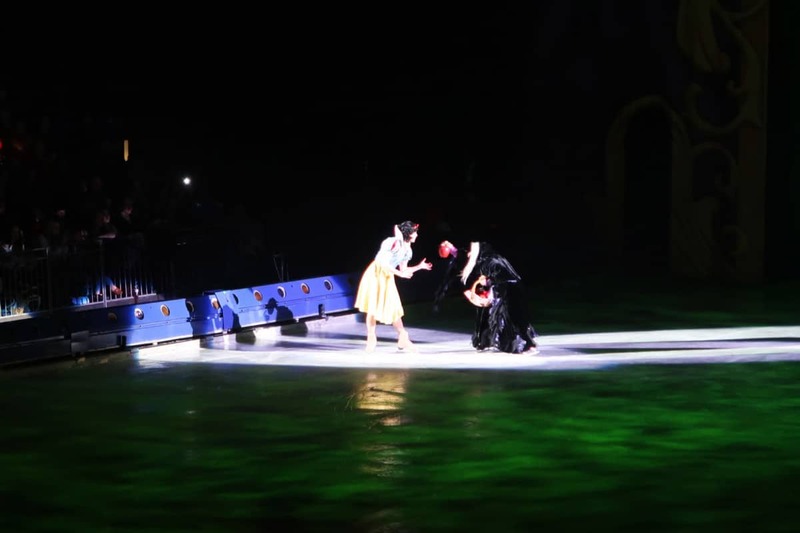 Snow White soon made an appearance and held the ice on her own for a time with amazing skating, before she succumbed to the wicked witch’s poisonous apple. 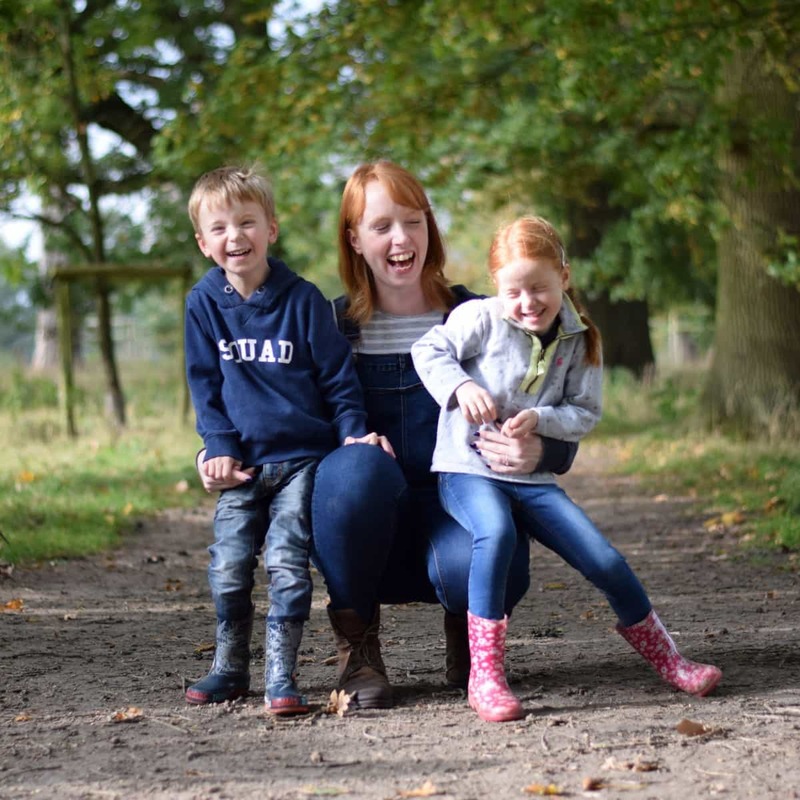 Fortunately, her Prince Charming came along and saved the day in true Disney fashion. 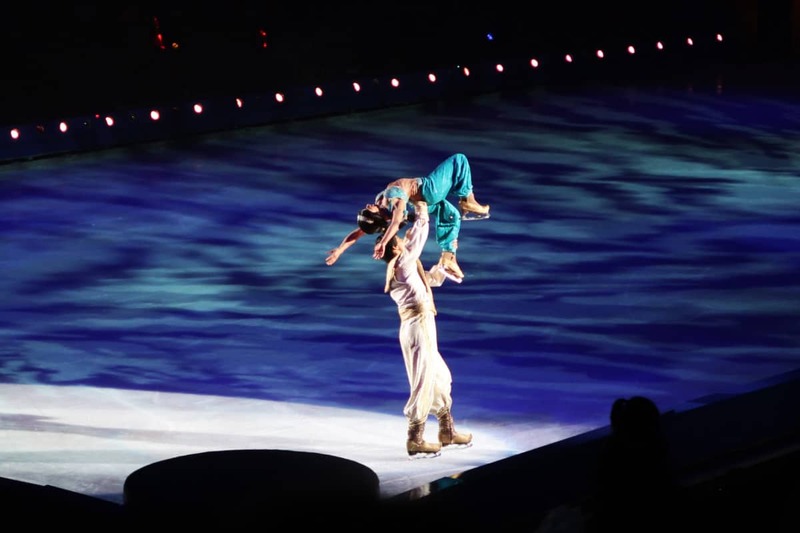 Aladdin then made a welcome return from Disney On Ice Dream Big. 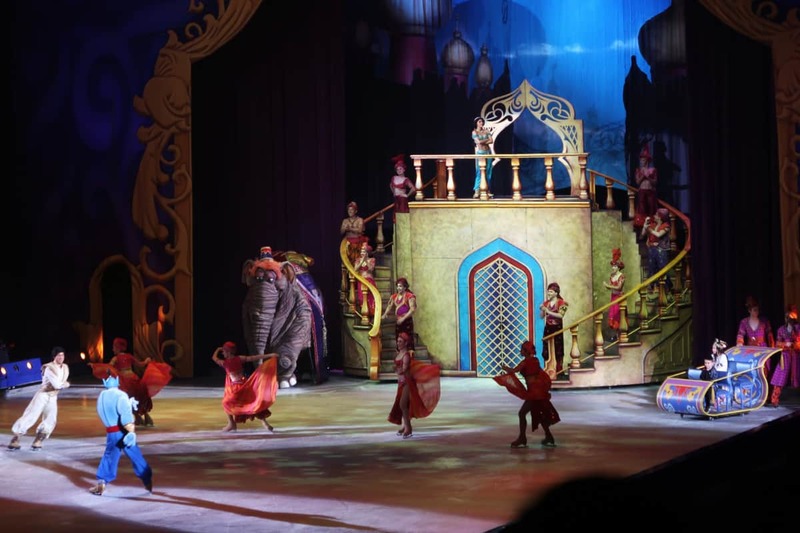 We saw how Prince Ali made his big entrance to impress Princess Jasmine, complete with Abu as a huge elephant! 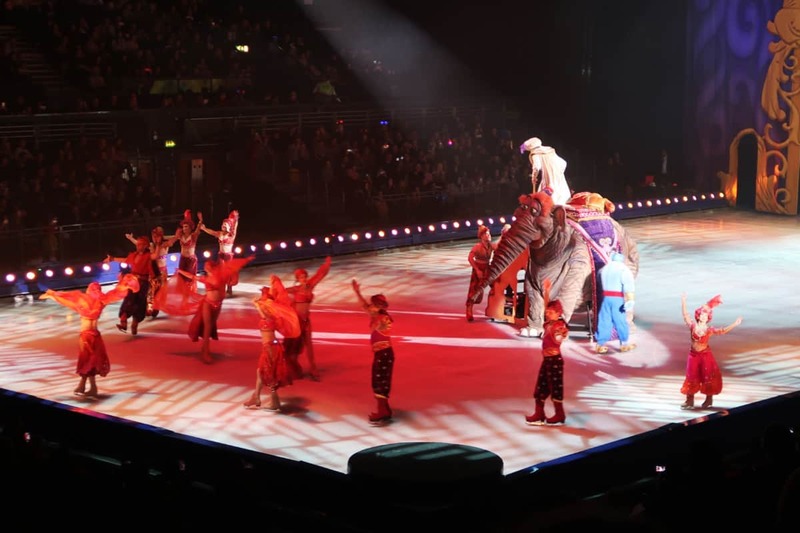 This scene was also the setting for some audience participation as two very lucky children took a ride on the Magic Carpet around the arena. This was different to previous shows as this normally happens during a scene from The Little Mermaid, so this made a welcome change. 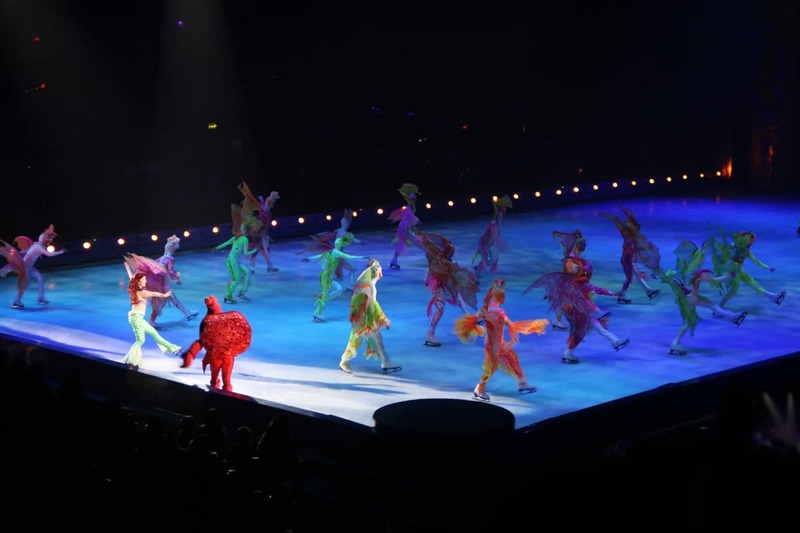 Ariel and Sebastian were up next and as captivating as ever, with fantastic moves and every colour of the rainbow on show, giving the whole arena the feel of actually being under the sea. 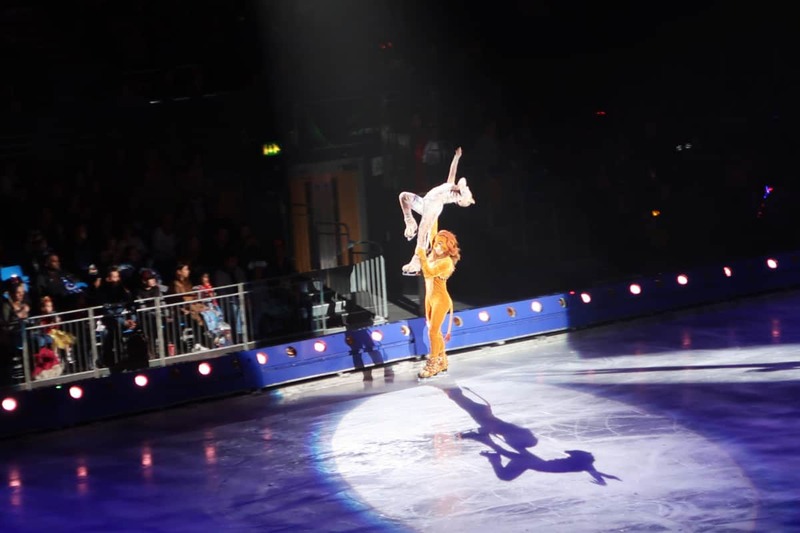 After this Rapunzel and Flynn take to the ice for a brief but beautiful routine. 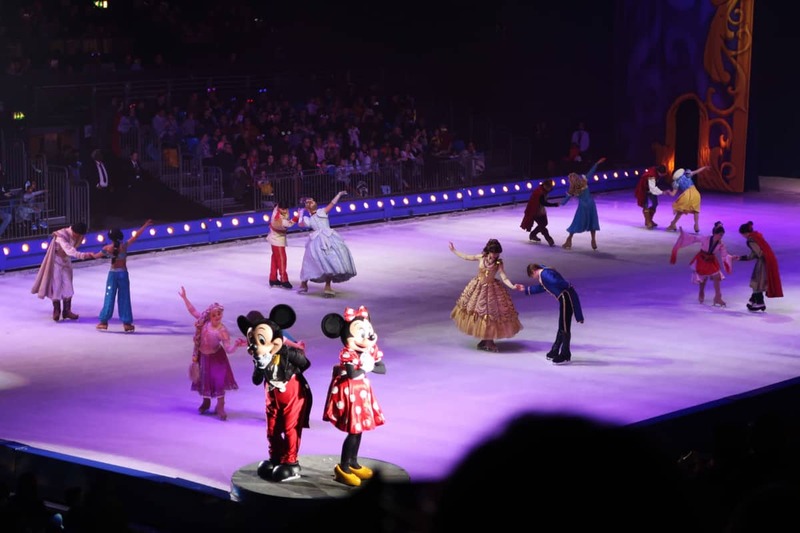 This brought us to the intermission, but not before almost every Disney Prince and Princess couple came onto the ice for a perfectly staged performance. 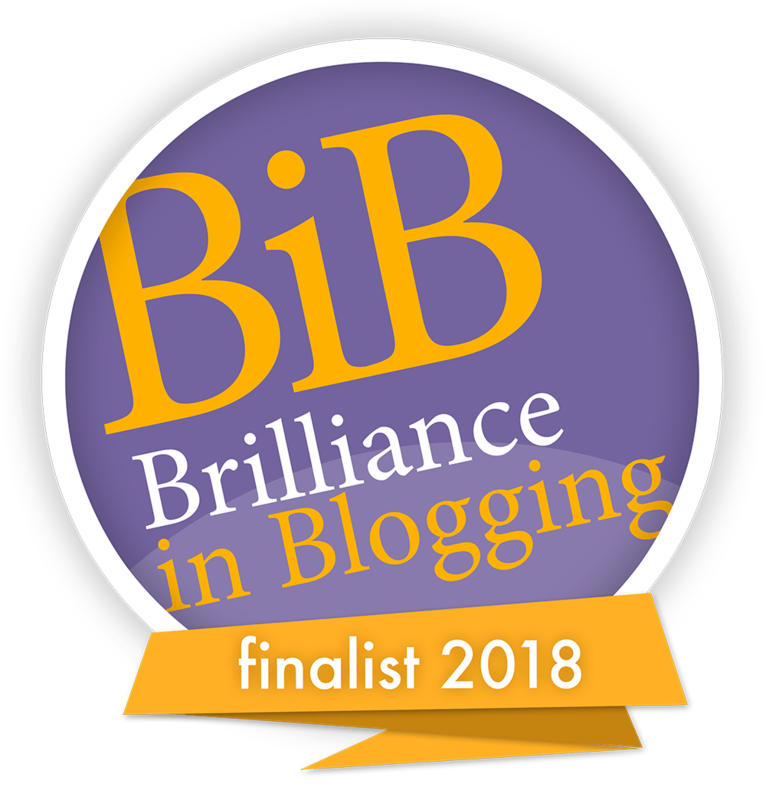 It was truly magical and would have been a beautiful end to the show – but we had another half of the show to look forward to! After a short break, part two kicked off with a good ol’ fashioned hoedown, led by Woody, Jesse and Buzz from Toy Story. They were even joined by a squad of Army Men soldiers. 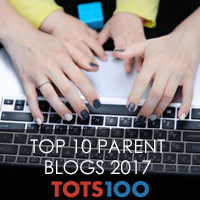 This was quickly followed by another new scene, Finding Dory. 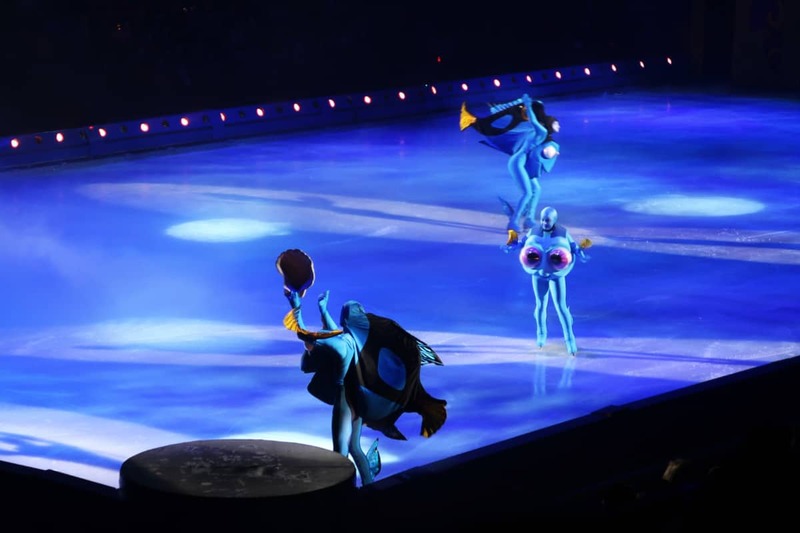 The performers were fantastic and we were shown the bond between Dory and her parents, whom she eventually found again. 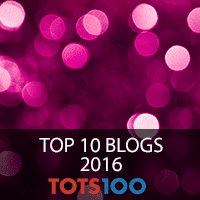 Everyone’s favourite Disney sisters were up next, Anna and Elsa from Frozen. 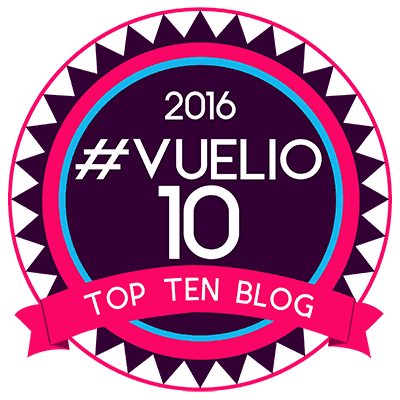 Their story of an act of true love is always a winner with us and it didn’t disappoint. 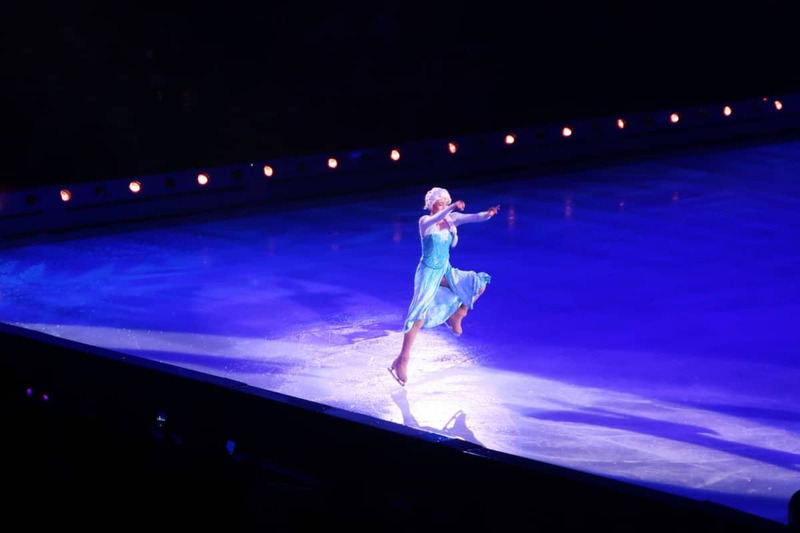 With pyrotechnics and ‘snow’ adding to the action, the audience were bouncing along to each song, with Elsa owning the ice on her own during ‘Let It Go’. 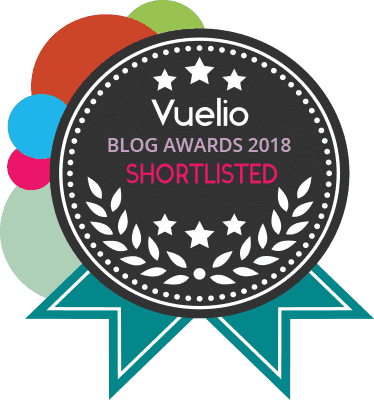 She was amazing – with jumps, pirouettes and spins that left me dizzy, she was superb! Olaf even took to the stage for his classic song about summer before the grand finale featuring all of the performers from the whole show. This included Mickey and the gang letting us know what the ultimate treasure was, the treasure that had linked all the stories together. Love. 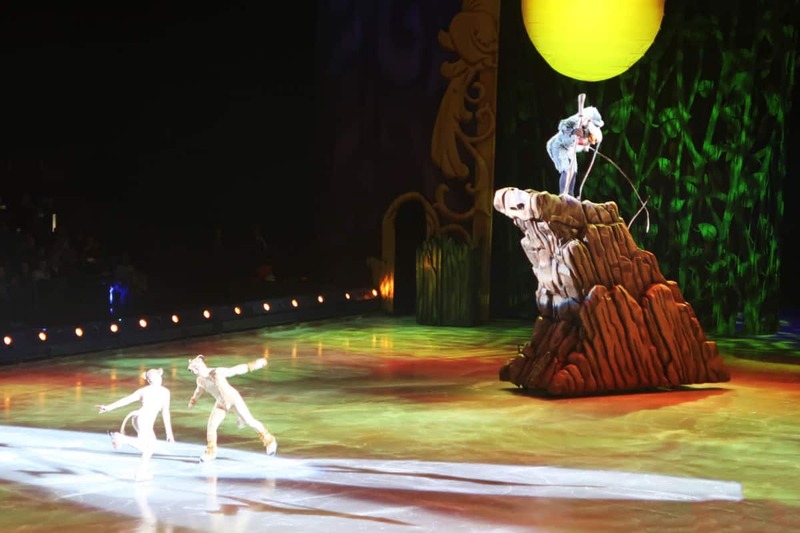 The Wonderful World of Disney On Ice was fantastic. 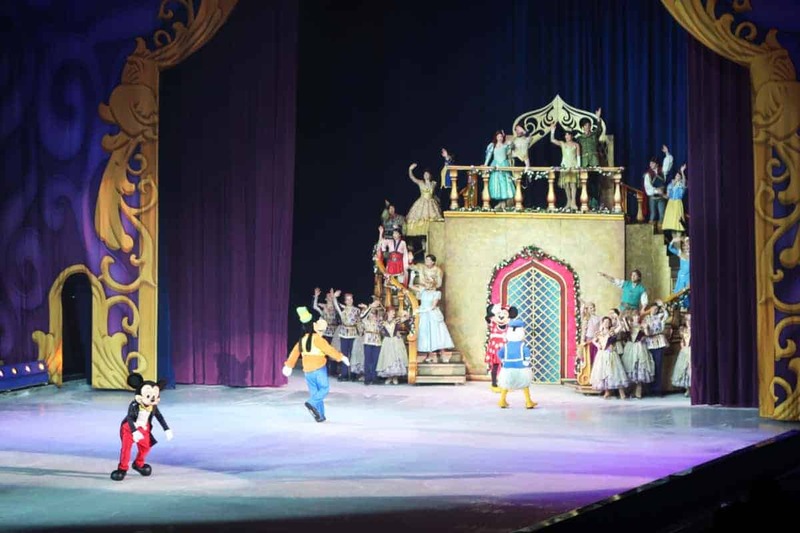 The show managed to include so many Disney characters, all with an incredibly high standard of skating, beautiful costumes and a story that captivated every member of the audience. 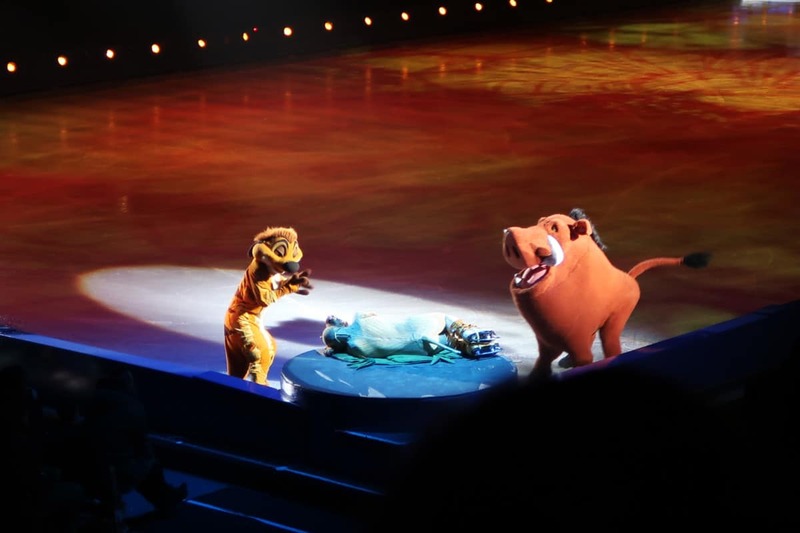 It may well be our favourite Disney On Ice show yet. 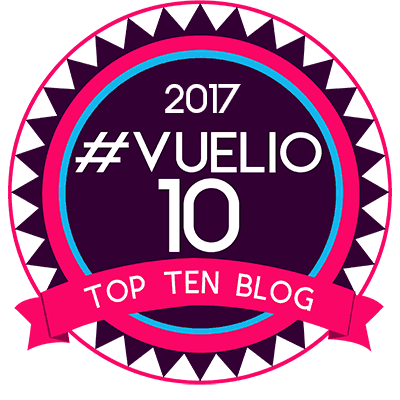 You can see the full list of tour dates and book tickets here.